Earlier this year I took my two kids and their three cousins on an afternoon homeschool field trip to the Natural History Museum in Exposition Park. 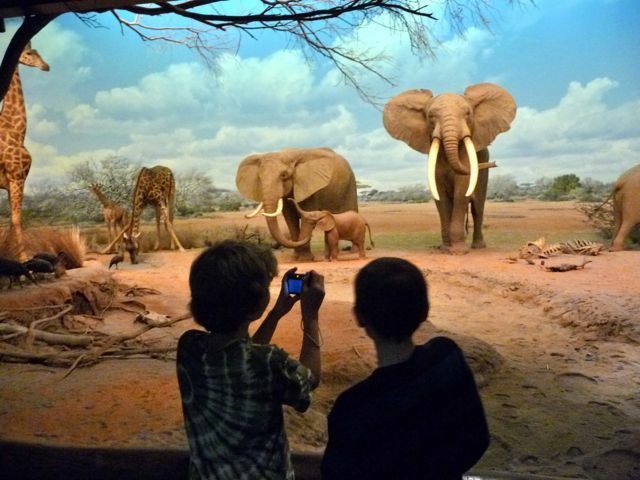 The museum is $9 for adults, and only $2 for kids 2-12. There's also a "free day" on the first Tuesday of the month (which should be avoided if you don't like crowds). 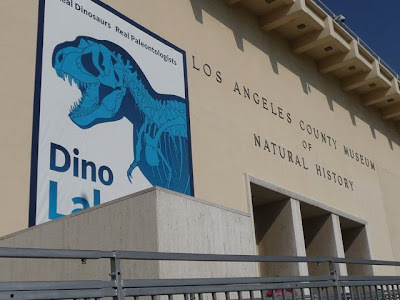 If you're looking to save a buck, here's a handy link to museum "free days" throughout Los Angeles. The Natural History Museum and the adjacent California Science Center are both great, especially if you have kids. 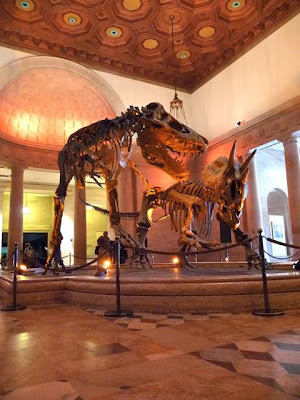 Walking inside, you'll find a very impressive dinosaur display inside the main rotunda (think "Night at the Museum"). 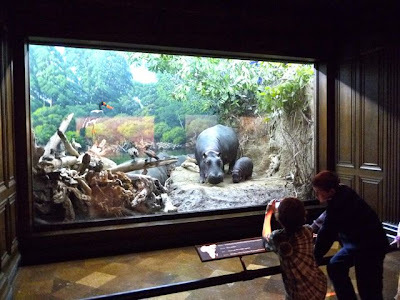 There's a lot to see - as we've been here many times and I had five kids in tow, we limited our visit to the large North American and African animal displays on the first floor. The Natural History Museum has been around since 1913 - and is coming on it's 100th anniversary. 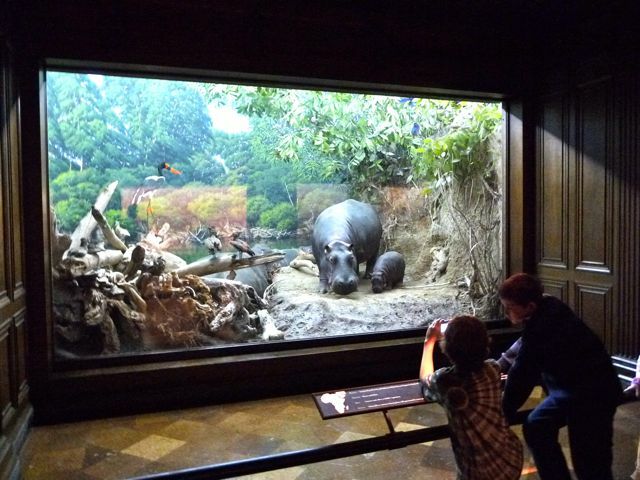 These dioramas in the North American animal wing have been here since 1925. These 85 year old displays continue to impress. In fact, walking around I kept thinking "they looked better than when I was a kid." Turns out, that's actually true. They were completely refurbished and "relamped" in 2006. 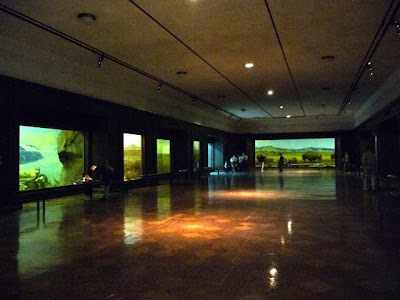 While the west wing is dedicated to North American mammals - the east wing (above) focuses on African mammals. The African section was opened in 1930 - and was also refurbished in 2006. My son and his cousin "on safari" - and trying out his new camera. These are really amazing displays. 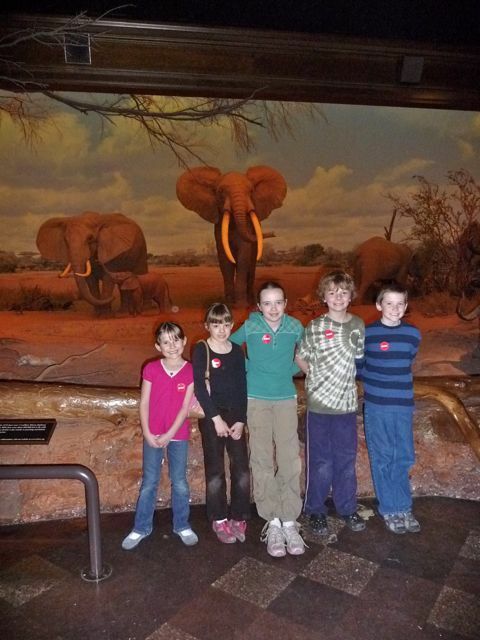 Most impressive picture of the bunch: I actually got five kids to hold still for a photo. 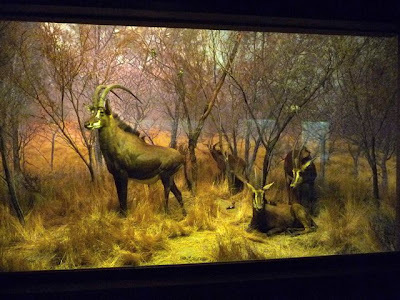 Back in 1930, these dioramas were state of the art technology. 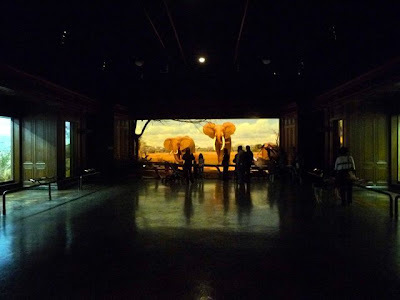 Most zoos were steel and cement cages, photography and film were limited to black and white images, and travel to these locales was difficult and expensive. 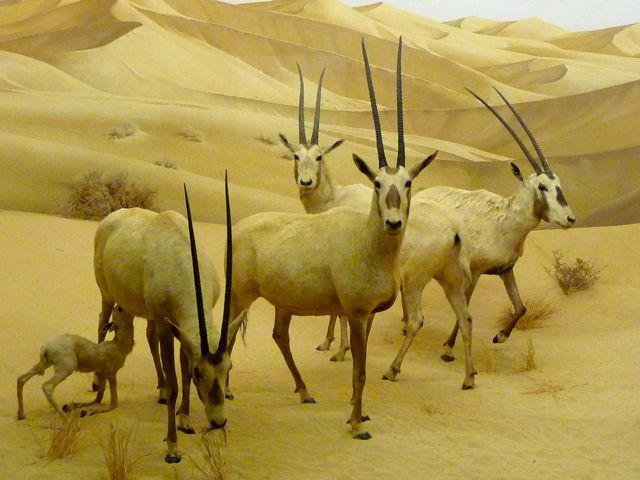 The average person would never have been able to have seen these places in real life. 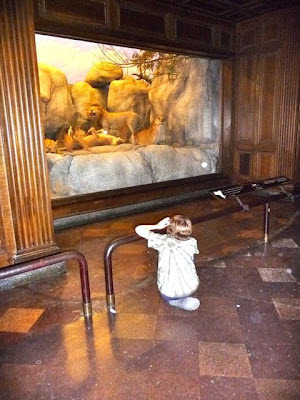 Eighty years later, the scenes are still difficult to see in the wild, but for a different reason. Many animals that were plentiful in 1930 like the Black Rhinoceros (above) have been hunted to near extinction - and are now on the endangered species list. 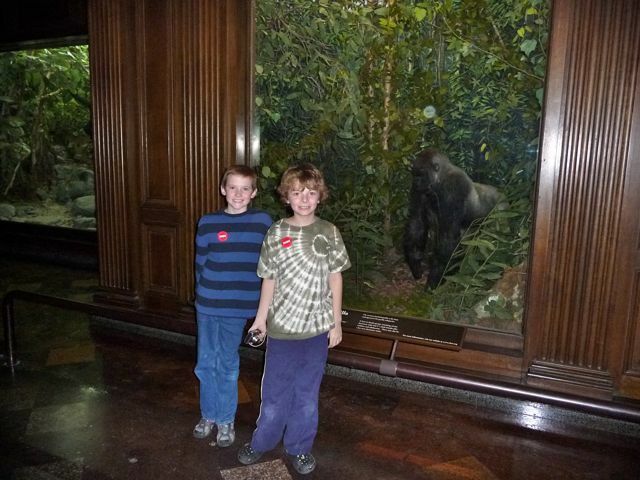 My son (right) and his cousin in front of of the lowland gorilla display. 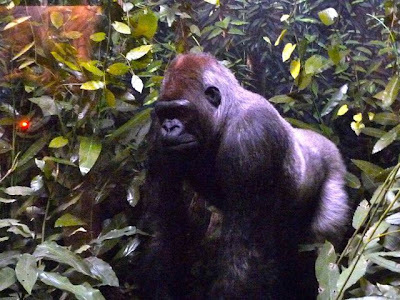 These animals continue to evoke a sense of awe and wonder. 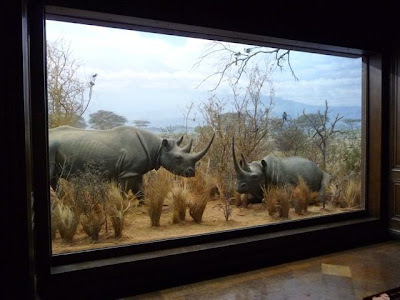 These dioramas are really windows to a much larger world than most of us will ever experience. African lions - and my son coming up with a makeshift tripod (a tip from his dad). As a Christian, I'm reminded that over a hundred different animals are mentioned throughout the Scriptures. They're important not just because they serve as "examples" or "illustrations" (although they do) but because they're part of the larger Creation - of which we as people have been given stewardship. Stewardship. The concept seems almost archaic and the word has gone out of fashion, but it really best captures the attitude of our brief stint here on earth: leaving the earth - both in a moral, spiritual, and physical sense - in better condition for the next generation. African Oryx. 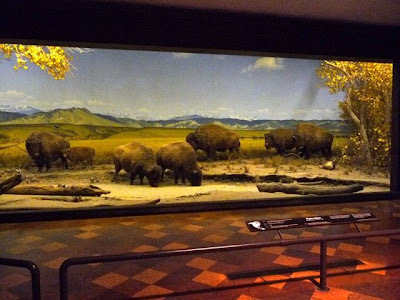 The museum has a couple of videos explaining both the history and the work involved in creating and maintaining these dioramas. I found them fascinating - and worth my time. And, with or without kids, so is a trip to the museum. Here's their website. 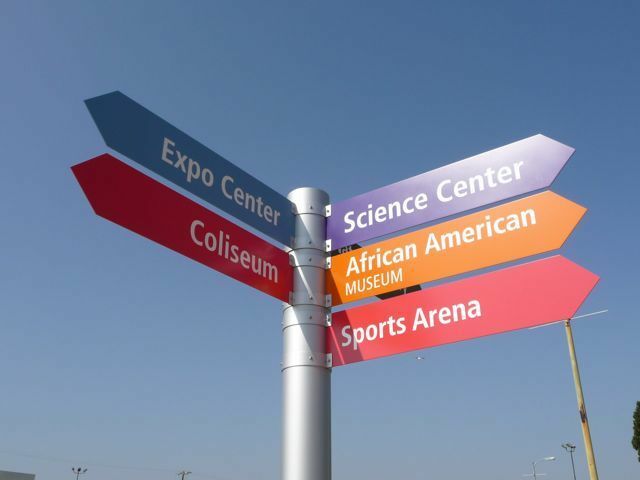 The Natural History Museum is located next to USC and the Los Angeles Memorial Coliseum - where the USC Trojans play. Check their website as traffic and parking make a trip to the museum nearly impossible on a "game day." What an awesome uncle. You've taken given these kids some amazing experiences!! I haven't been there in years. 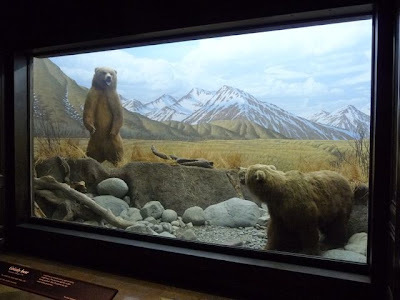 Those dioramas look the same as when I was a kid, and still in good shape. Interesting perspective, too. Different than what I expected.